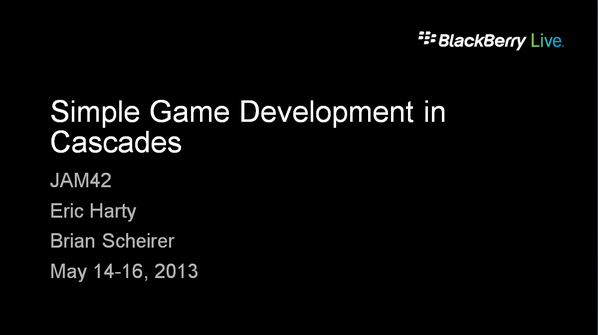 The replay of my BlackBerry Live presentation with Brian Scheirer and Suavek Zajac can now be viewed on the BlackBerry Live site. A recording of the presentation along with the slides can be found on the right side of this page. You can also download the full Powerpoint slides and the complete source code of the sample app.